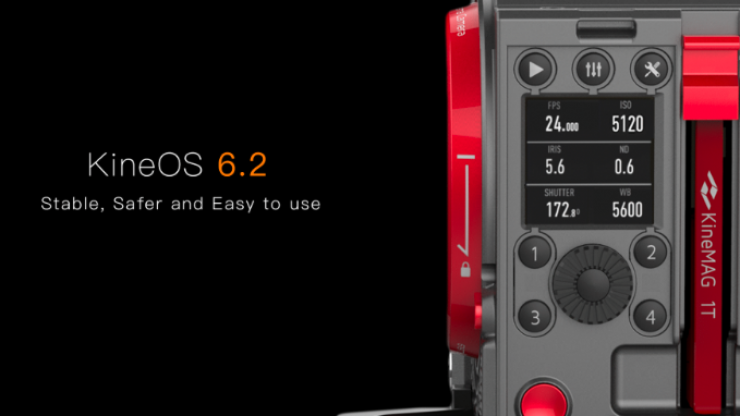 Kinefinity has released KineOS 6.2 Firmware for the MAVO & MAVO LF. The new firmware enables the side screen function to display key parameters and adds the 3K/4K outputs oversampled from 6K open gate. This has been done primarily to make the 3:2 open gate shooting mode more economical and easier to use. In addition, a countdown function has been implemented when you power the camera on. This has been designed to better protect the camera and your recording media from having probles. The new firmware also supports KineBACK-Lite and provides a more accurate prediction of what the recording bitrate is. There is also bug fixes related to audio and cDNGs. KineOS 6.2 is available for MAVO LF, MAVO, TERRA 4K, but not all new functions are applicable on every model. There is a high-resolution LCD screen at the left side of MAVO LF and MAVO, but previously it only displayed the MAVO LF logo or MAVO logo. With the new KineOS 6.2, the side screen displays the current key parameters, such as ISO, electronic aperture, shutter speed/angle, ND stops (if mounted with e-ND adapter), color temperature and other important parameters. Note: The side screen is only used to display shooting parameters. You can’t use it to make any changes. 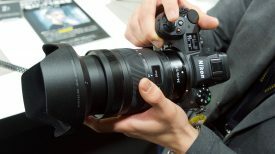 If the camera loses power during recording, the SSD file system and footages may get damaged. With KineOS 6.2, the camera monitors the battery power constantly. Once the battery voltage is below the BAT warning voltage, the countdown function will start to work (it will count down from 30-1) The camera will stop recording automatically if the countdown happens during recording. When the countdown is within 10 seconds, the camera will disable all the functions and then shut down safely. Note: the warning threshold voltage can be set up a little bit to avoid fast power loss caused by aging battery from improper shutdown of the camera. 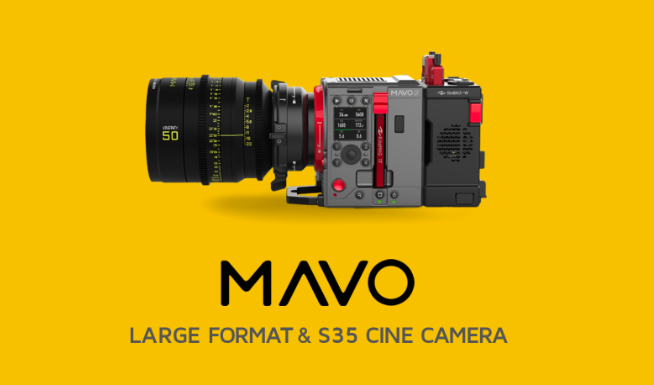 The aspect ratio for shooting open gate is 3:2 for the MAVO LF, MAVO, and TERRA 4K. 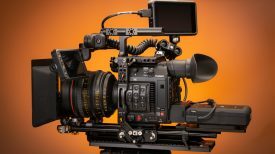 For the MAVO LF and MAVO, the open gate is 6K x 4K, (24 million pixels). In new KineOS 6.2, in-camera oversampled open gate is introduced to the MAVO LF and MAVO and all the 24M pixels are oversampled and output as either 4K 3:2 or 3K 3:2. 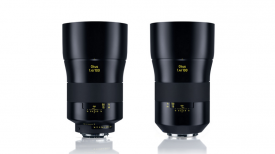 This way you can record the full frame image in ProRes 4444 or even ProRes 4444XQ. The KineBACK Lite offers a more convenient power solution to the MAVO LF/MAVO/TERRA 4K. It is now supported with KineOS 6.2. You can download the MAVO LF Firmware here. You can download the MAVO Firmware here.